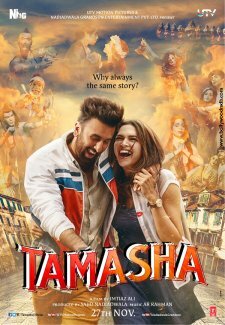 Tamasha Hit or Flop : Box Office Collections - Checkout Box Office Verdict, Trailers, songs, lyrics, release date and collections of Ranbir Kapoor, Deepika Padukone, Javed Sheikh starrer Tamasha. The movie is directed by Imtiaz Ali. It released in India on 27th November 2015.